Dehydration can happen very quickly on a hot day. Summer is here and everyone will be spending a lot of time outside over the next few months! We all know that feeling when we haven’t drunk enough water on a hot day: that sudden pounding headache; dry mouth; dizziness; brain fog and lethargy. These are all early warning signs of dehydration which can be remedied quite easily with rest and increased fluid intake. However, for children, if those early warning signs of dehydration aren’t detected and treated early on, they can quickly require hospitalisation – especially in under 5-year olds. Children get dehydrated much faster than adults: they need more fluids than us; their bodies don’t cool down as efficiently as ours; they tend to be far more active, take less breaks and forget to stay hydrated. Children can also find it hard to recognise those tell-tale signs that we as adults understand are our body’s way of warning us to slow down and hydrate. 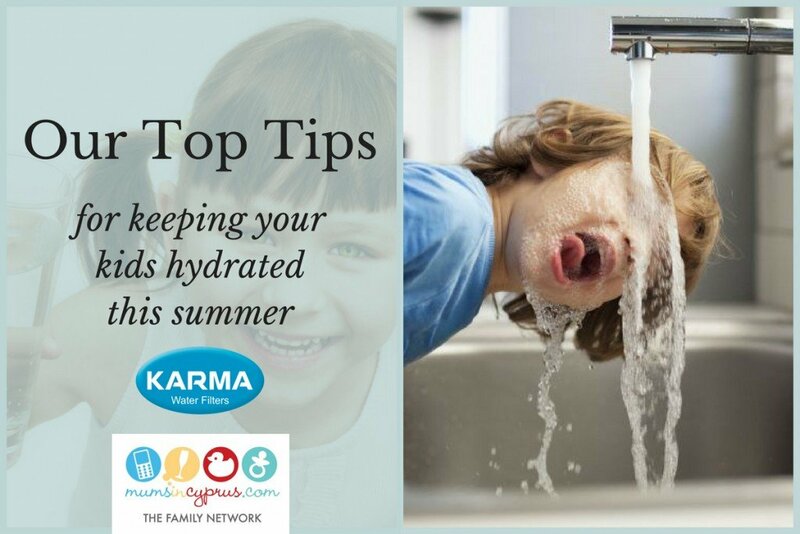 As always, prevention is better than a cure, so we’ve compiled a list of top tips for keeping your kids hydrated in this heat to allow them to enjoy the summer sun safely! When a child becomes dehydrated, the salts and fluids in their body are out of balance: more fluid has left the body (through vomiting, diarrhoea or excessive sweating) than has entered it. On a hot day, or during a sickness bug, this can happen very quickly if the “lost” water is not replenished. Your child may seem low on energy; be irritable or just not themselves. In addition to this, further early signs of dehydration are a decrease in urination, or urine that is dark yellow and strong smelling. As always, if you have any concerns at all – or for further information – make sure to contact your GP / paediatrician as soon as possible. Even mild dehydration can cause headaches, reduced mental performance, lack of concentration and fatigue. By the time kids are complaining of thirst, they are already dehydrated, which it is why it is of utmost importance to prevent this from occurring wherever possible. However, during the summer months and when playing outside, it can be quite a challenge to make sure your kids are drinking enough fluids. Water, milk and sugar-free fruit and vegetable juices (in moderation – even better if homemade) are the best options to keep your kids hydrated. It’s preferable to stay away from fizzy pop, sports drinks or vitamin waters that are often marketed to kids. Though if your child has become mildly dehydrated through illness, or is playing a lot of sports in the heat, it may be a good idea to give them an electrolyte-infused drink. How can I ensure my kids drink enough water? 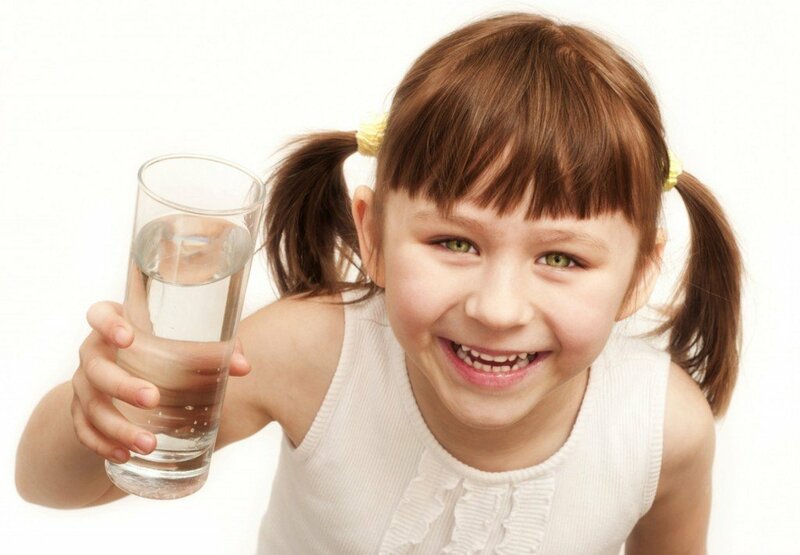 Kids can sometimes be quite picky and a lot of children simply don’t like drinking plain water, especially if they are used to drinking juices and sodas. Cold water can generally be more appealing to kids, but keep in mind that liquids at moderate temperature are better absorbed by the body and are better for keeping hydrated. On a very hot day, a frozen ice-pop made from freezing diluted fruit juices / smoothies will certainly go down a treat! Another trick can be to freeze juice in ice-trays and add those to plain water in a glass. Some children also like flavoured water that is infused with slices of watermelon, strawberries, cucumber, lemon or lime, or any other fruits/veg… Experiment and see what they prefer! 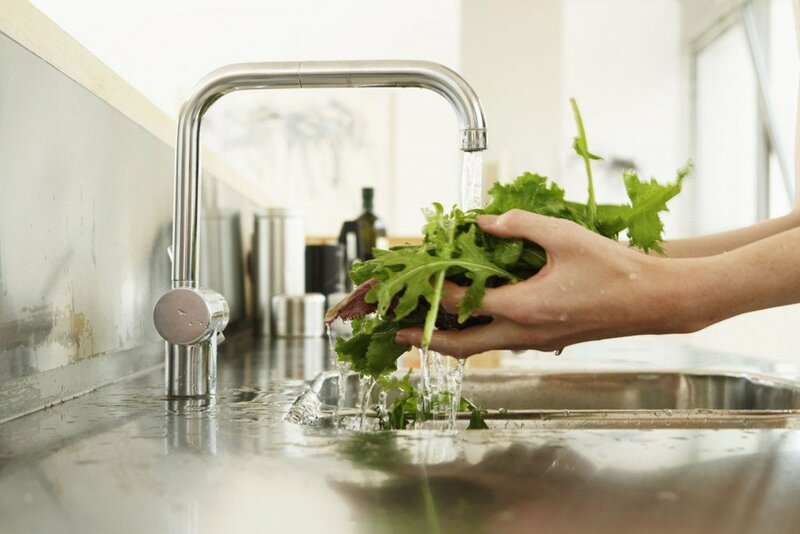 Make sure to include high-water content foods in your daily diet. Homemade smoothies, juices, broths and soups (hot or cold) or iced herbals teas (all made with pure filtered water) will help keep up your hydration levels during the warmer weather. Foods that contain a lot of water, like watermelon and simple salads made with tomatoes and cucumber, are good options to appeal to the kids. Try cutting a seedless watermelon with cookie cutters and freeze the pieces for an ice-cold snack when they are really hot! Our kids really like making these – by getting them involved in the process; they are more likely to enjoy eating the result! It is generally recommended that children drink at least six to eight glasses of water per day but this can increase in warmer weather. Don’t wait until they are thirsty to offer them fluids. As we discussed earlier, this can mean that they are already dehydrated. Try to encourage them to take a rest in the shade and hydrate every 15 – 20 minutes in particularly hot weather, especially if they are being active. Always carry their reusable water bottle with you so that it is easier to offer them frequent sips when out and about. Our kids are really attached to their water bottles and take them with them everywhere they go! Make sure you stay hydrated too! It’s very easy to worry so much about keeping the kids hydrated that you forget to pack a water bottle for yourself as well! Make sure that you also take your own water out and about with you. In addition to all the above mentioned tips, precautions, and ways to keep your child hydrated, it is important to protect your child from excessive exposure to heat and sun. Monitor them as they play, offer them water continuously when out and about in the sun, wear protective clothing and make sure to apply (and frequently reapply) that suncream! Enjoy the summer… keep hydrated and stay healthy and happy! Happy Summer 2018 everyone! This article was sponsored by Karma Water. It is through collaborations such as this with locally selected and trusted partners that enable Mums in Cyprus to continue to bring you the very best information and support that we can provide.